I adore historical fiction and read more about WWII than any other historical time period, so it pains me to give this a negative review. I seem to be in the minority opinion on this book, judging by the 4.32 Goodreads average rating, but to say that the author’s style didn’t work for me would be an understatement. Let me start with the story itself. The Tattooist of Auschwitz is based on a true story, and Lale’s story is definitely one that deserved to be told. Taken into the most infamous of Nazi concentration camps and forced into a kind of complicity in order to survive, Lale is sympathetic while being morally complicated. He struggles with the moral implications of his actions throughout the book, wondering if the extra rations he’s able to obtain and share with those who most need them can truly justify his cooperation with the Nazi guards by tattooing his fellow prisoners. He has a comparatively easy job and a position of relative safety in the camp, and this comes with it a sense of responsibility to those around him. The love story (also based on Lale’s real life) should have been a highlight of the story for me, but I was never able to get invested. There’s something beautiful and bittersweet about finding a source of happiness and light in one of the darkest situations one can possibly encounter. However, the writing in this regard fell very flat for me; Lale falls in love with Gita more or less at first sight. 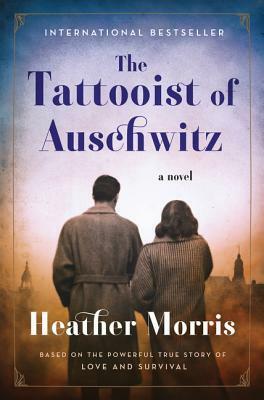 For a young and romantic-minded man looking for any sense of comfort in Auschwitz, this is understandable, but Morris never fleshes out Gita’s character enough for this romance to be sustainable. We learn very little about her as a person, and so it became difficult to understand Lale’s continued infatuation with her as the story continued. Overall, I thought this novel had a lot of promise, but it unfortunately fell flat due to the author’s lack of experience in writing novels as opposed to screenplays. There is definitely a beautiful story somewhere under all the rough writing; there’s still a possibility of this being adapted into a movie, which I would love to see, despite my lackluster experience with the book. Thank you for reading! Have you read The Tattooist of Auschwitz? Please feel free to share your thoughts in the comments!